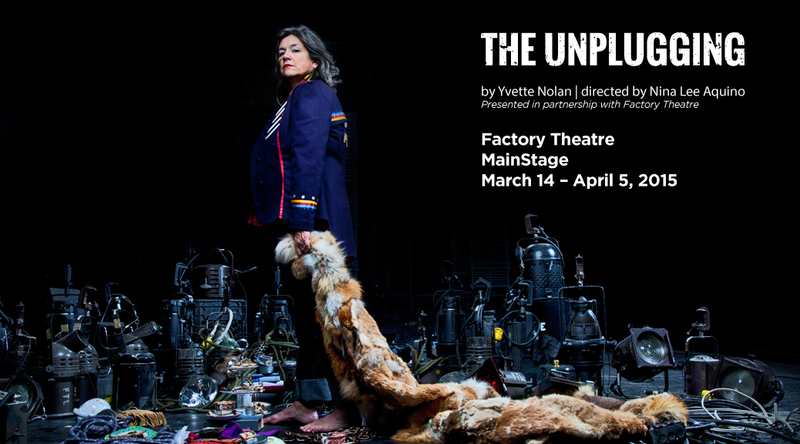 In a post-apocalyptic world, two aging Indigenous women are cast out of their village and forced to wander the desolate landscape with their only tools of survival: a shared traditional knowledge and deep friendship. When a young man appears and threatens their new way of life, the two women must choose between isolation and community. Tickets $23-$45, available online here. Yvette Nolan is an Algonquin playwright, dramaturge and director who was born in Prince Albert Saskatchewan and raised in Winnipeg. Her plays include BLADE, Job’s Wife, Video, Annie Mae’s Movement, Scattering Jake, Donne In and What Befalls the Earth. She is the editor of Beyond the Pale and co-editor of Refractions: Solo. She has been the writer-in-residence at Brandon University, Mount Royal College and the National Arts Centre. Nolan served as Artistic Director for Native Earth Performing Arts in Toronto from 2003 – 2011. Nina Lee Aquino is a director, dramaturge and playwright. She is the current Artistic Director of the Factory. She is the editor of Canada’s first Asian-Canadian 2-volume drama anthology love + relasianships (Playwrights Canada Press) and the co-editor of the award winning New Essays on Canadian Theatre Volume One: Asian Canadian Theatre (Playwrights Canada Press). Nina co-wrote Miss Orient(ed) and has written her second play, Every Letter Counts (World Premiere, Factory Theatre 2013). Other credits include awards for directing: the Ken McDougall Award 2004, the Canada Council John Hirsch Prize 2008, a Dora Mavor Moore Award for Outstanding Direction 2011 (paper SERIES, Cahoots Theatre Company).